Xavier University and Mount St. Joseph (the Mount) are starting their college basketball season on November 14th at Xavier’s Cintas Center with the inaugural Lauren Hill Tipoff Classic. The doubleheader includes Xavier vs. Evansville and the Mount vs. Hiram. 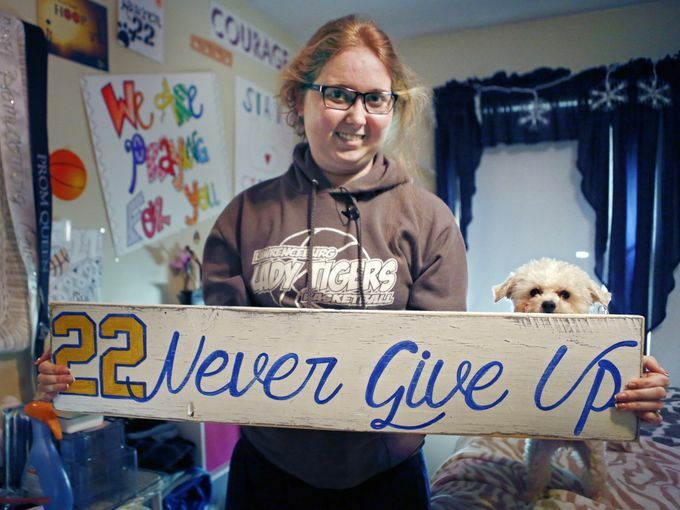 The schools intend to make this an annual event to honor Lauren Hill who died April 10th. It was just in our May issue that Brian Patrick wrote about the death and legacy of Hill, the 19-year-old Cincinnati athlete who was diagnosed at age 18 with an inoperable brain tumor. The high school senior, whose life-long dream had been to play college basketball, had already been admitted to the Mount. The Mount’s athletic department was determined to make Hill’s dream come true. The NCAA helped the Mount move up the start of the basketball season so Hill could experience her dream of playing college ball. The first game was against Hiram but as the word spread and the crowd grew, the venue was changed to the larger Cintas Center. In spite of her problems with balance and noise, Hill was able to play in four games before her cancer treatments required her to spend the balance of her time as an assistant coach for her team. With courage and determination far beyond her years, Hill decided to live the remainder of her life helping others by raising money for pediatric cancer research and educating people about her rare form of brain cancer (diffuse intrinsic pontine glioma or DIPG) that typically affects children ages four-through-nine.